Mahekal Beach Resort is home to 800 feet of beautiful beach, sparkling turquoise waters and beautiful resort-style pools. 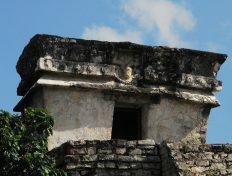 Still, you can't come all the way to Riviera Maya without experiencing the area's illustrious entertainment and history. Our team will be happy to tell you what to do in Playa del Carmen, but we've put together the list below so you can begin planning your trip and get excited for Playa. 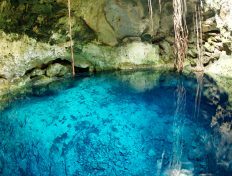 Your exciting adventure tour starts with a ride in a 4x4 all-terrain vehicle that takes you to a small Mayan family community where the Nohoch Nah Chich Cenote system is located (one of the longest explored underground river systems in the world). Here you will take part in an unforgettable snorkeling adventure into the fresh waters of this underground river, swimming deep inside the caverns and Yaxmuul, a unique natural pool. 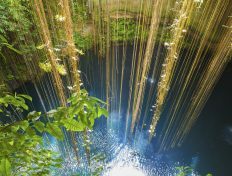 "Fly" over the Mayan Jungle through three zip line circuits in Riviera Maya, rappel into an underground river, and experience an authentic Mayan meal under a traditional palapa. Visit the archeological site of Tulum with spectacular views over the Caribbean waters, fly 60 feet above the jungle canopy on a thrilling zip line ride, rappel 60 feet down into a wondrous cenote, snorkel through an underground cavern, and sample authentic Mexican cuisine. 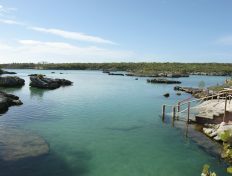 Explore Kantun Chi, a remarkable eco park located in the heart of the Mayan Riviera containing beautiful grottos, cenotes and tropical gardens perfect for a cultural swim. 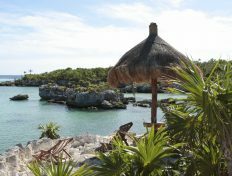 Visit the Tulum, the largest ancient structure still standing along the shore of the Mayan Riviera followed by Xel-Ha eco park and natural aquarium. The most spectacular natural aquarium of the world for you to experience the real aquatic adventure. 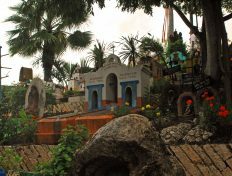 Explore this theme park and enjoy adventure activities, natural, ecological attractions, and water activities including diving or snorkeling in creeks, lagoons, natural wells and ancient caves fed by subterranean rivers flowing to the beautiful Mexican Caribbean Sea. 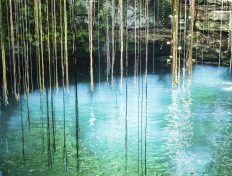 Xcaret is an eco-archaeological theme park offering activities and experiences that explore that natural and cultural wonders of the region. Learn about the coral reef in the aquarium, explore an ancient Mayan village, snorkel through a natural network of underground rivers and marvel at the Xcaret Show of 300 artists performing a mix of traditional music, dances and Mexican folklore. This one of a kind park features four thrilling activities to be enjoyed as many times as you like. 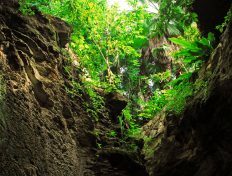 You can drive an amphibious vehicle along spectacular jungle paths and underground tunnels, paddle a raft through breathtaking grottos, fly high above the treetops on 13 amazing zip-lines and swim through caverns covered in stalactites and stalagmites.